*Andrew Lloyd Webber based the musical Cats on this book. Of Cats and Men is available now from Ten Speed Press. 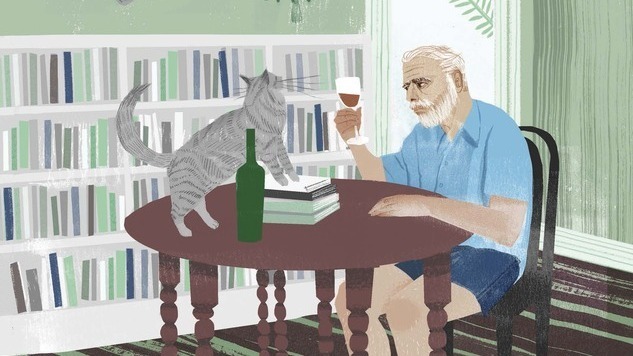 Check out the gallery to view some of Kalda’s art paired with excerpts about cat-loving writers.